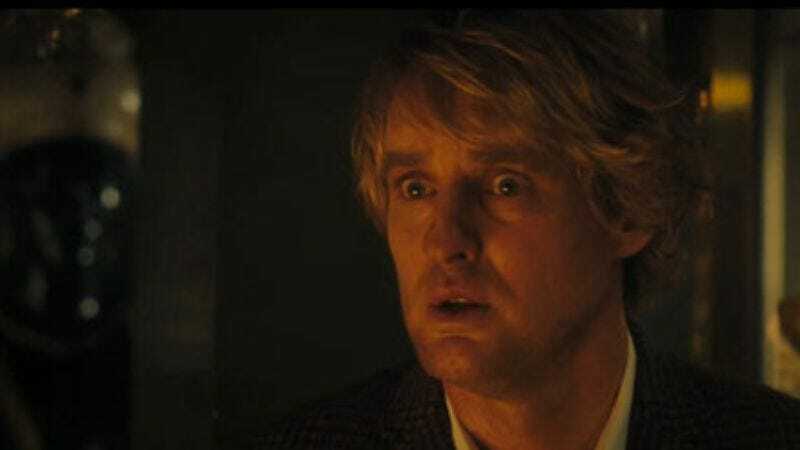 After years of futzing around by not putting Owen Wilson and Rachel McAdams in his movies, Woody Allen has finally hit upon a recipe for success with Midnight In Paris: Put Owen Wilson and Rachel McAdams in your movie and watch that paper stack, yo, as Midnight is now expected to become Allen’s biggest-ever box-office hit. Already it’s Allen’s most successful film since Hannah And Her Sisters, which grossed just over $40 million back in 1986. Of course, when you factor in today’s higher ticket prices, and you adjust for inflation the empty Tab cans and neon headbands that were being used for currency back then, Midnight's numbers seem less impressive, and Hannah's $40 million becomes a much bigger hurdle that we’re not going to elucidate for you because, ha ha, math. But the point is, Midnight is closing in on Hannah’s record, and will technically become the highest-grossing film of Allen’s career, something not even the promise of Scarlett Johansson and Penelope Cruz in a three-way could accomplish.